Pressure Sensors that we offer provide analog as well as digital output. These sensors are made available by us in different versions such as compensated amplified or non-compensated unamplified. Heavy duty Pressure Sensors, offered by us, are perfect for high pressure applications. 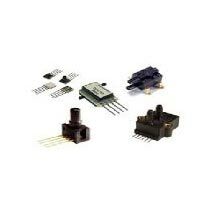 We are named among the renowned Suppliers of Pressure Sensors. We have the capability to deliver retail as well as bulk orders for Pressure Sensors within the stipulated time frame.